The 84th annual International Premium Cigar & Pipe Retailers show (IPCPR) is now in the books, leaving cigar fans with enough new releases to (hopefully) last through the looming FDA regulations. Notoriously, the most buzzed-about booth is Padrón - no surprise there. At this booth lies the most highly anticipated new cigar releases for the next coming years… Well, not every new release. You see, we’ve been greedy and kept one for ourselves. 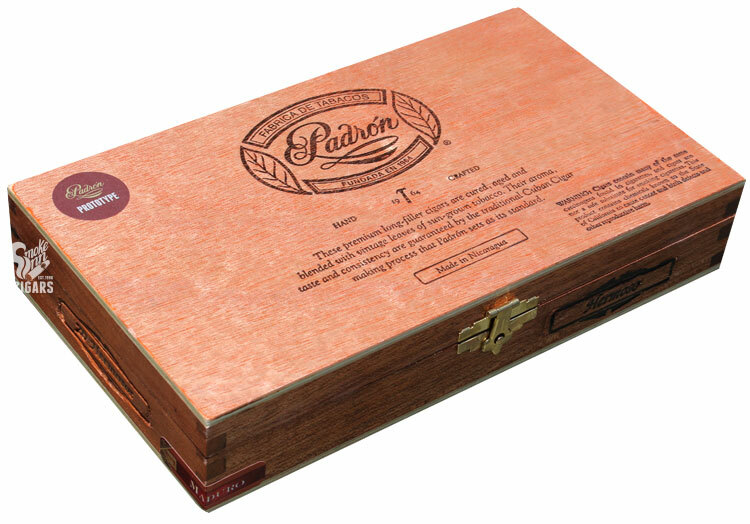 Introducing the Padrón “Prototype” - an exclusive pre-release cigar that will only be offered here at Smoke Inn. When Padrón first began toying with their new 1964 Anniversary Hermoso cigar (4 x 56), they first came to us with a more manageable 4 x 50 vitola. Using the world-famous 1964 Anniversary blend, these special prototype cigars make for a unique smoking experience you will not find anywhere else. Secure your order now while supplies last and make sure you’re among the select few to experience this special peek behind the curtain of one of the world’s most renowned brands.